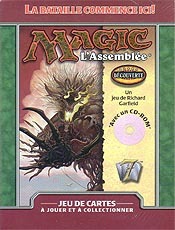 Seventh Edition is the eighth official print run of the Core Set and was released in April 2001. It consists of 350 cards and exists in English, French, German, Italian, Japanese, Portuguese, Simplified Chinese, Spanish, and Traditional Chinese. Seventh Edition cards were the first to appear both as black-bordered (foil) and white-bordered (non-foil) variants. Seventh Edition English Magic Guide Card have a specific black border back in the five different languages existing. All the versions of these box sets are much smaller. 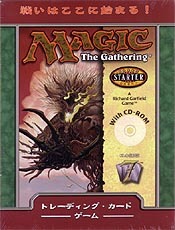 In line with the new guideline for starter level products, the Seventh Edition box set does not include any exclusive starter level cards. However, part of the Advanced Booster Pack is a non-playable card which depicts the Magic instructor who appears in the player guides.